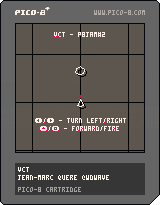 For the PICO-8 Jam#2, I have done a game : “VCT”. You can play it here or download the cartridge (below). Now, I’m working on a enhanced version using Monkey2. The first step was the translation of the main methods : _init, _update and _draw. 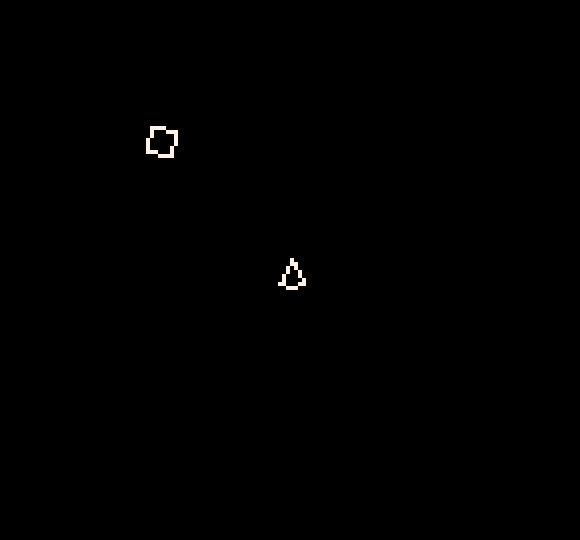 For this, I have made a basic version of the VCT “engine” (which uses vectors to draw and animate) with pico-8. You can use left, right, up keys (or a gamepad) to test. The cartridge and explanations are available (or will be soon) in picozine#5. Then I started to write all the required stuff to produce the same with monkey2. The result is pretty good. I have to polish the switch between full screen and window mode. You can download and compare : windows binary (auto-extractible). Right now, I’m sure Monkey2 is the good tool to go further. Stay tuned, I’ll post updates in the next coming weeks about this.